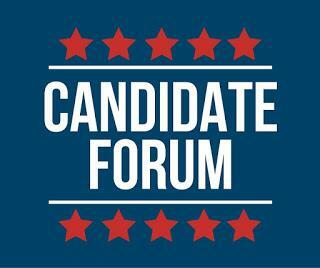 You are invited to join us in our Fellowship Hall on Thursday, October 25, 2018 at 7:00 pm for a Candidate Forum with Santa Cruz County Board of Supervisor candidates Greg Caput (incumbent,) and Jimmy Dutra (Mayor Pro Tem,) as we share our experiences and seek solutions for affordable housing, mental health and substance abuse reform, and increased community safety. Sponsored by COPA, (Communities Organized for Relational Action in Power), our COPA core team, Watsonville NETworX, and other COPA member organizations. Everyone is welcome! NOTE: We are a nonpartisan organization. We do not support or oppose any candidates. For a local action in response to family separations at the Mexico-U.S. border. To urge Congress to legislate a sustainable solution to immigration. To call upon local officials to work with us on issues affecting the immigrant community. Para una acción local en respuesta a la separación de familias en la frontera de Mexico. Para insistir a la asamblea de congreso a tener una solución legistativa de inmigración. Para llamar a los funcionarios locales a trabajar con nosotros en asuntos que afectan a la comunidad inmigrante. St. Mary of the Nativity Church // Parroqia Santa Maria de la Natividad, 424 Towt St., Salinas, CA. New Safe Sanctuary Policy Approved! In 1942, over 127,000 United States citizens of Japanese ancestry were relocated to internment camps because of the fear that they would act as spies or saboteurs for the Japanese government. Immigrants have built this country and continue to sustain it, working for the benefit of us all –whether by picking our crops, putting food on our tables, building our roads and homes, tending to the needs of our children and elderly parents, and inspiring our congregations. However, every day, many of our immigrant brothers and sisters are deported. Children live in constant fear that at the end of the school day, they will find that their parents have been deported. Immigrants are subject to arbitrary detention, and denied due process. It is critical that as people of faith, we work toward community wholeness. We hold true that God loves the immigrant in our church and community, and we care deeply for each and every child of God, no matter where they are from or what language they speak. 1. Openly declare our church a Safe Sanctuary, where immigrants, refugees, and sojourners, including children, youth, and the elderly, may experience the abiding love of God through Jesus Christ, and fellowship within our community of faith. 2. Affirm the actions of United Methodist Bishop Rev. Minerva Carcaño in expressing her deep and abiding faith in Jesus Christ in support of all immigrants, her bold leadership both here and around the world, and her vision for our California-Nevada Annual Conference to be welcoming to all people. 3. Continue our work with other member organizations, leaders and community groups to actively support COPA’s (Communities Organized for Relational Power in Action,) “Know Your Rights, Know Your Neighbor,” immigration campaign, including implementing its 3 key components: workshops in immigrant parishes, civic academies, and research actions with public officials. 4. Pledge to conduct our ministry of the gospel in supportive ways that encourage our members, visitors, friends, neighbors, other churches and community leaders and other organizations and entities, to promote immigration policies and procedures that are humane, fair, and based on the equal worth of all people, regardless of their countries of origin. 5. Be a church where immigrants, refugees, and sojourners who are in our community may find a spiritual home, and receive welcome, radical hospitality, peace, reconciliation, and the healing presence of the Holy Spirit. 6. Offer to support immigrants to the best of our ability as we work to support their integration and settlement into new, safe communities, and provide learning of and leading to local resources that provide help, legal aid, and advocacy for their needs and issues. 7. Pursue peace on earth through justice-making efforts to end suffering here, and throughout the world, and help stabilize local communities whose residents experience pressure to leave their homeland. 8. Continue to provide compassion for and solidarity with the poor, the marginalized, and the oppressed. 9. Support immigrant rights to gainful employment, social and political freedom, cultural affirmation, legal rights and equal protection under the law, and the exercise of human rights, so people do not become so desperate that they abandon their loved ones, their culture, and all that is familiar to them, in search of a better, safer life. 10. Support the rights of all LGBTQI immigrants and others in all our policies and programs, and help end discriminatory practices, beliefs and prejudices against them. 11. Welcome the immigrant, the newcomer, and recognize, embrace, and affirm all people, regardless of where they come from, as members of the family of God. 12. Affirm the right of all persons to equal opportunities for employment, access to housing, healthcare, education, and freedom from social discrimination. 13. Urge all our brothers and sisters to recognize the gifts, contributions, and struggles of those who are immigrants and to ensure justice for all as sacred children of God in Jesus Christ. a. To the United States government: we call upon you to immediately cease arrests, detainment, and deportations of undocumented immigrants, including children, solely based upon their immigration status until a fair and comprehensive immigration reform is passed. b. To people of faith: We affirm that all are created in the image of God and we are called to welcome immigrants into our congregations, provide care for those facing separation from their families, and advocate for policies that uphold the civil and human rights of all migrants. c. To all who live in fear of detention, deportation, or separation from your family and community: you are valuable, deserving of opportunity, your contributions to society are important, and we will stand with you to advocate for justice. to make your home with us. and with people made in your image. who live as your children. to bring about harmony and goodwill. especially in our immigrant sisters and brothers. and grace to build a society of justice.